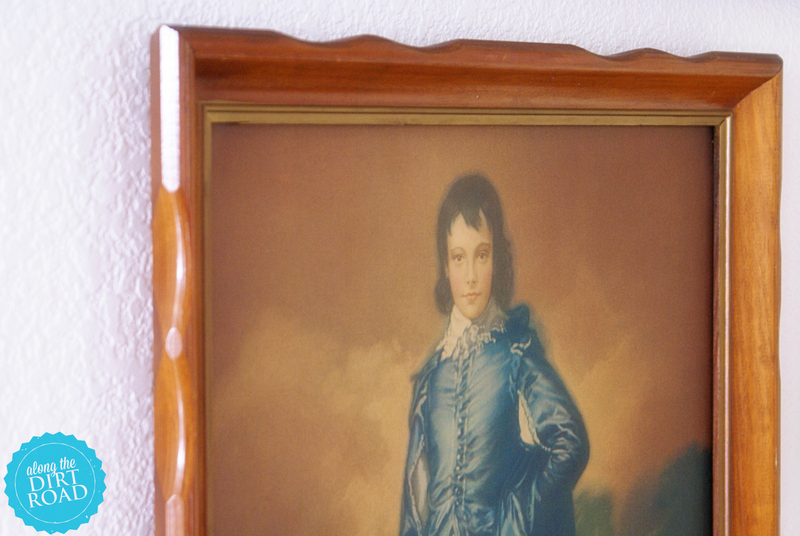 To me…the Blue Boy was always something that hung in my grandparents farmhouse. I had no idea why….for years. Kids are like that aren’t they? You just know that things are familiar when you are young and don’t really question their presence. Ahhh…the simplicity of youth. When we built our own home I remembered Blue Boy. He had long since been stashed in a spare bedroom closet in my grandparents brick home in town. They had sold the farm several years before. I actually drove by the farm a few days ago. It will always have a special place in my heart. So would you like to know why Blue Boy is in my possession? I kind of left that unfinished. 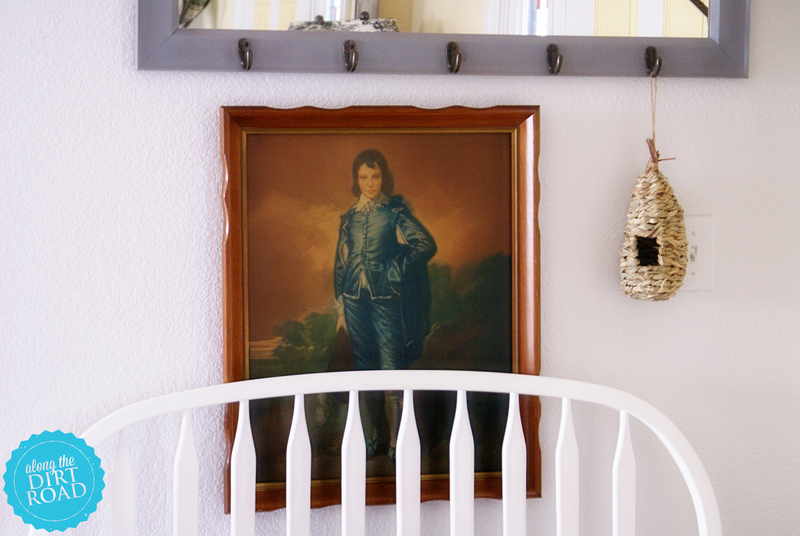 Are you wondering why I cherish this print of this little guy in satin clothing? I will tell you why. So…there you have it. 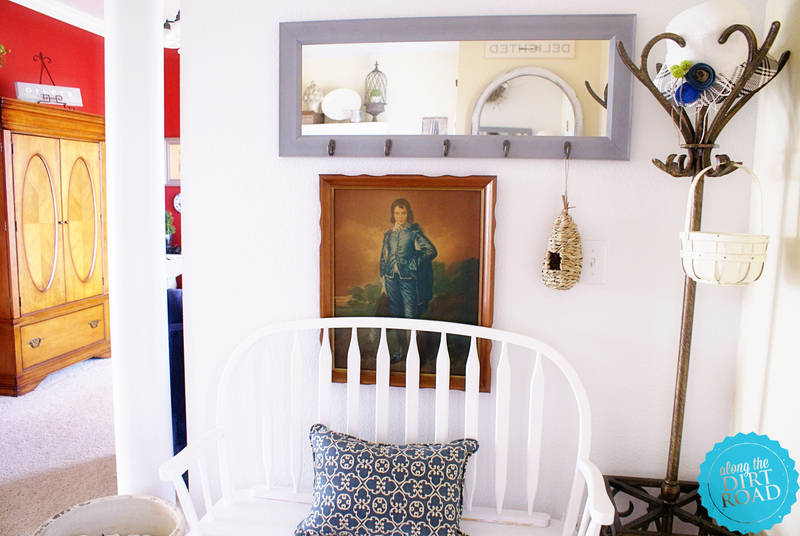 My Blue Boy print hangs in our entry right now. (I got permission to bring him out to our own farmhouse.) I love his blue duds with the white wall behind. Blue is actually my favorite color. 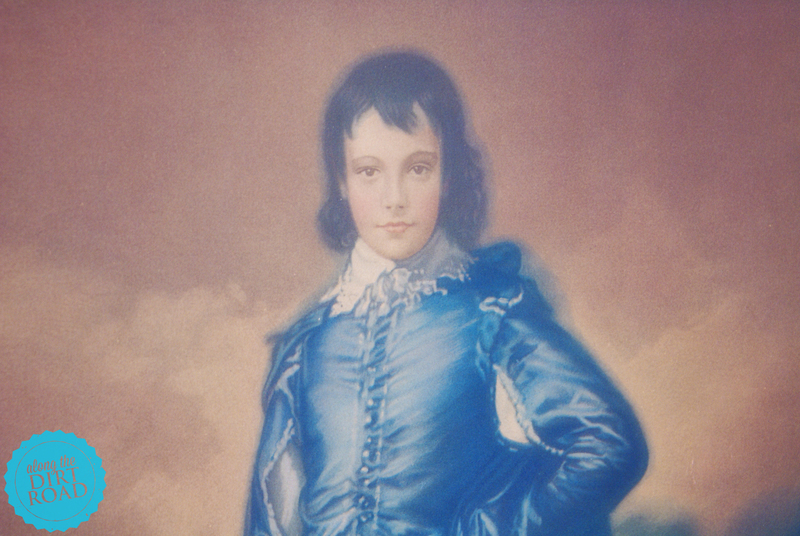 I wonder if Blue Boy influenced me with his shiny blue clothes…all those years ago? Thanks Blue Boy print. You are a treasure…that is probably only worth something…to me. How fun! This one has sentimental value to me. 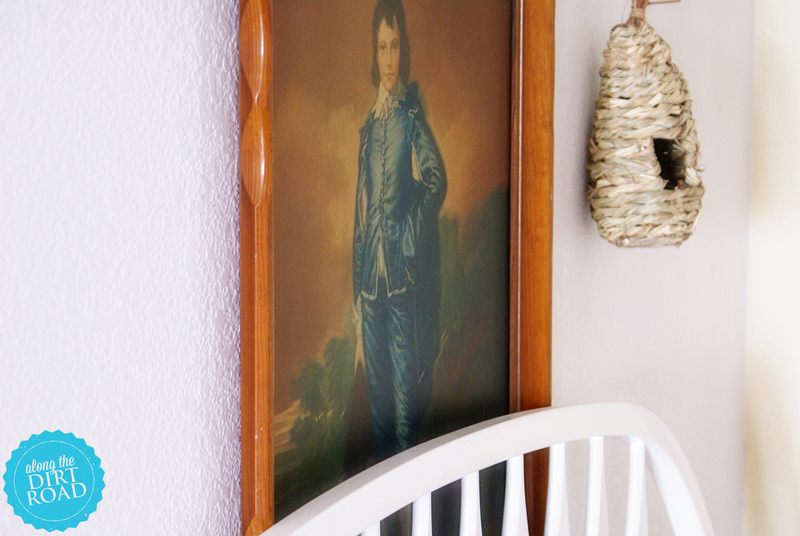 I think that it’s important to have things that you enjoy in your home. How fun for your kids! ~k.